Welcome to the Annaberg Chalets. - annaberg2011s Webseite! Welcome to the Annaberg Chalets. 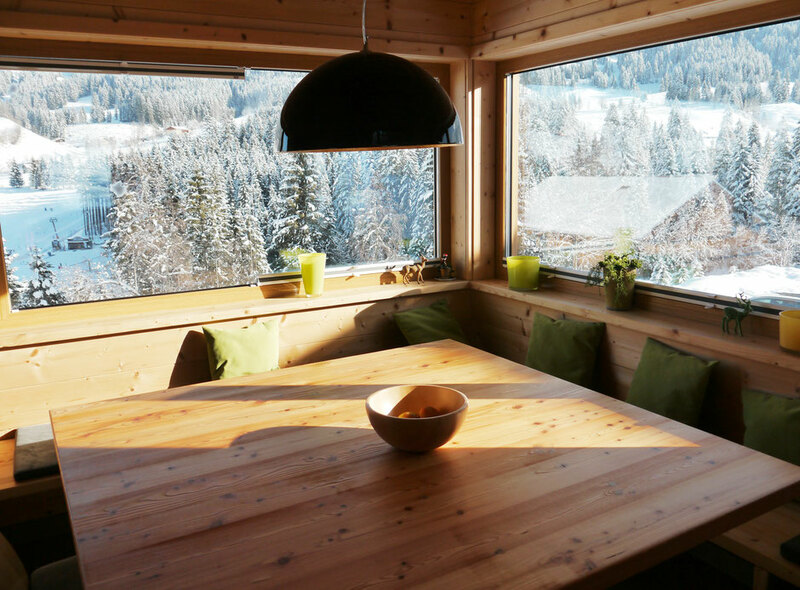 Our chalets and Annaberg Donnerkogel invite you to spend a wonderful vacation. In the family-friendly resort area, there are summer and winter for the whole family to experience. Our chalets are located just 200 meters from the ski slope. All information about the ski resort Dachstein-West can be found here on our website. Dachstein-West is known for its friendlyness for families and for its still affordable prices. In the summer you can make hiking, mountain biking and great excursions in the area. There are numerous nature trails, many with play and learning stations for children. And the beautiful lakes of the Salzkammergut and Salzburg itself are only an hour's drive. There is a reason why the movie The Wall, with its magnificent nature photography was shot on our doorstep in the Dachstein-West. We hope you enjoy exploring our website and look forward to hearing from you.